Here’s my little craft Valentine for my honey. 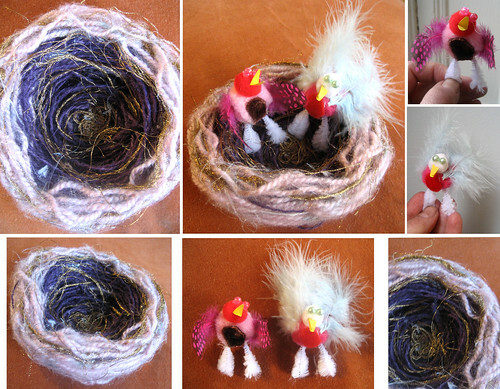 I used lots of fun stuff I had lying around to make these lovebirds. Don’t forget my free art Valentine cards.